Republican presidential candidate Donald Trump has gotten some endorsements from people that seem genuinely excited to vote for him in November. "Are you ready for a commander in chief that'll let our warriors do their jobs and go kick ISIS a**?" former presidential candidate Sarah Palin asked. "By God, we will elect our next president, we will save our freedom, and America truly will be great again," National Rifle Association Executive Vice President Wayne LaPierre said. "He wants to make America great, and whatever it takes to do that, he wants to do that," actress and conservative commentator Stacey Dash said on Fox News. 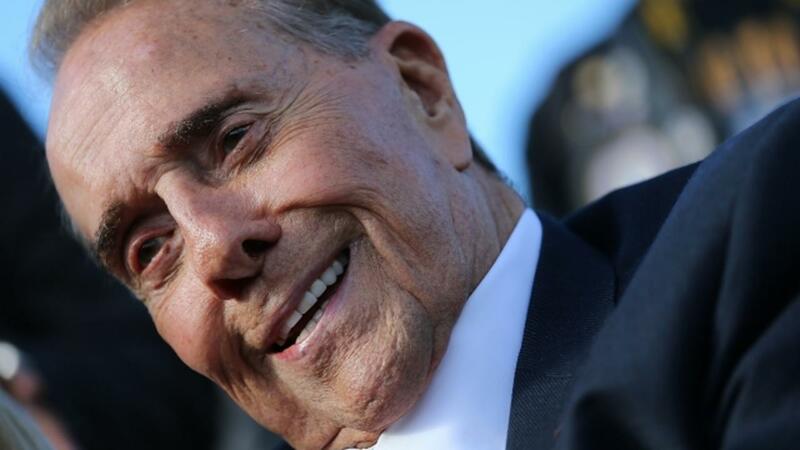 But Trump's endorsement from former politician Bob Dole falls into another category altogether. Instead of excitement, it's more like, "meh." In an interview with NPR, Dole said, "I have an obligation to the party. I mean, what am I gonna do? I can't vote for George Washington, so I'm supporting Donald Trump." That's a pretty weak endorsement from a Republican heavyweight. But Trump can find solace in the fact that a good number of his endorsements are from people who aren't upset about not being able to vote for George Washington this election cycle. And at least Trump doesn't have a hashtag dedicated to tepid support. The hashtag #GirlIGuessImWithHer popped up on social media from Democratic voters reluctant to cast their ballots for Hillary Clinton.